Riding boots with a 1/2″ heel are required. Sturdy pants with lots of give (not jeans) are acceptable but we recommend an inexpensive pair of starter breeches for your riding comfort. Half-chaps and riding gloves are also strongly recommended, but not necessarily required at the outset. An ASTM/SEI certified helmet IS required at all times while mounted. We can supply this as you begin. However, our helmets are used by a wide array of students. You will likely want to make this one of your first purchases because of personal hygiene and the added benefit of a personalized fit. This is the single most important safety item you will purchase. 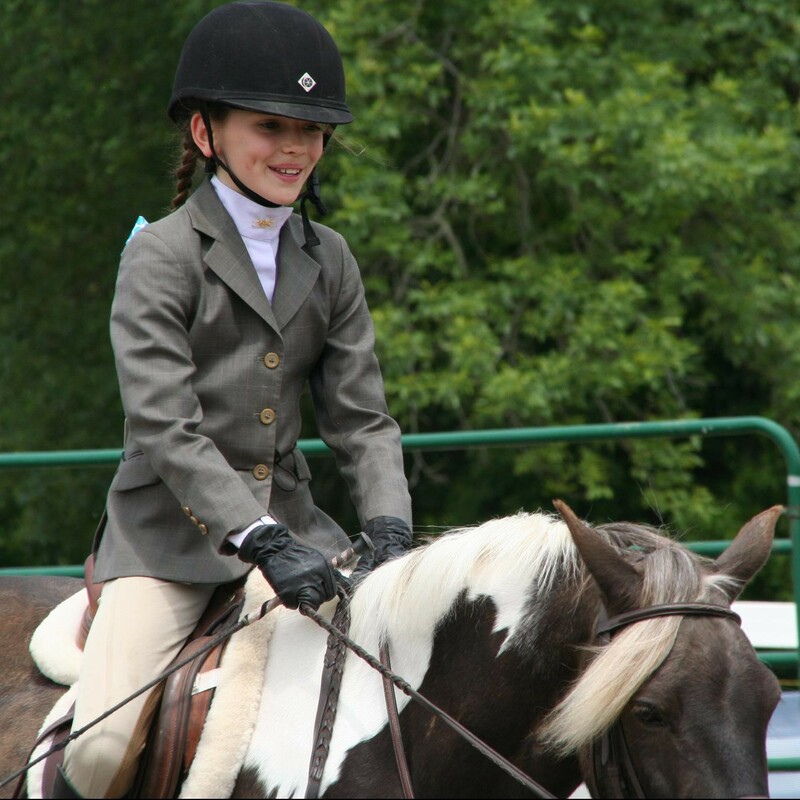 We recommend you do your shopping with the expert consult of the ladies at The Tack Trunk in Chesterfield, MO, which is a huge tack store dedicated to English horse sports. Tell them we sent you and let them know what your budget is. Their guidance will help you to choose wisely and stage your purchases well if necessary. They also have a large consignment section to browse through for many items.